What's all this talk about home health technology? Are you hearing a lot of chatter about home health technology, but don't know where to turn for solid information? How will it impact your business? What are others doing? What are the best technologies? How do I make money? The Home Health Technology Summit will give you the answers! Stay tuned for the conference program being announced later this fall. 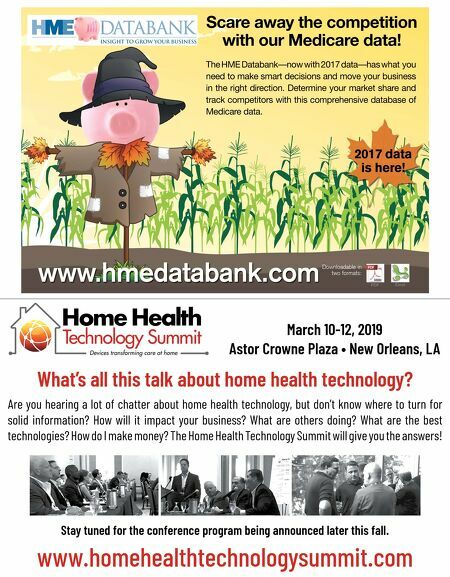 www.homehealthtechnologysummit.com March 10-12, 2019 ÃÈ³ÀÀ³Ü®I¨vçvƥ:Ü?À¨v®ÃƜ4 www.hmedatabank.com Downloadable in two formats: Excel PDF Scare away the competition with our Medicare data! 2017 data is here! 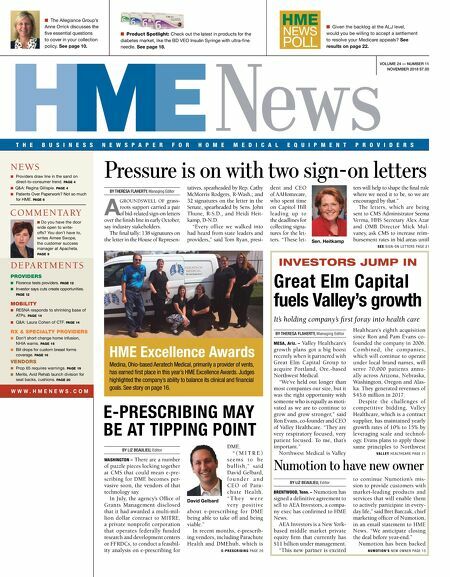 The HME Databank—now with 2017 data—has what you need to make smart decisions and move your business in the right direction. Determine your market share and track competitors with this comprehensive database of Medicare data.